This HitBTC review below explains the mains aspects of this digital currency exchange. It covers how to buy bitcoin and other cryptocurrencies, what currencies are availabl at HitBTC, its verfication process and much more. In 2014, HitBTC was already offering trades in USD, EUR, LTC and BTC. Now, it offers much more alt coins, as is one of the exchanges with the highest number of alt cons available for trading. Another important advantage of HitBTC is that it offers a demo account. If you are new to BTC the dashboard of any exchange can be quite tricky. I suggest you to play around with the demo account on HitBTC to get some experience, if you haven’t any. HitBTC accounts are also highly secure. You can use the 2 factor Google Authenticator for several actions on the website and or also e-mail verification for withdrawals. Despite being highly recommended, they are not mandatoy. 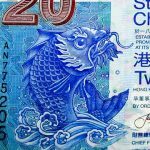 Unlike most main Bitcoin and Alt Coins exchanges, we can see in this HitBTC review, that it focuses on deposits via fiat currencies by bank. So, it you have EUR or USD and want to deposit it on HitBTC you can only use bank transfers or SEPA transfer. That is the same for withdrawing your money. If you have digital currencies, you can easily send them to any of your numerous wallets inside your HitBTC dashboard. For this type of transfers, no verification is needed. Deposits usually take 14 days to fund your wallet on HitBTC, while withdrawals up to 20 days. When buying a digital currency, one of the most important aspects you should consider are fees per transaction. Each exchange has their own structure, and that’s how they make money. HitBTC fees applies to all users, regardless of which fiat or digital currency they have used to deposit funds. There are two kinds of fees at HitBTC: trading fees, and deposit or withdrawal fees. Trading fees are of 0.1% of the transaction for orders to be executed instantly. Others that are not executed instantly are entitled to 0.01% on execution. SEPA Transfers: Deposit has a fee of € 5 for funding under €50,000 and a fee of € 30 for withdrawing until this threshold. Above this threshold the fee is 1% for fuding and 2% for withdrawing. There are transfers in Euro available for the SEPA area only. For transfers in USD the fees are 1 % with a minimum of $6 and a max of $45 for deposits and 2 % minimum at $35, and max at $230 for withdrawing. A great advantage og HitBTC is that you can trade Bitcoin, Ethereum, Litecoin, and a number of other less known digital currencies. This includes the also popular ZCash and Dash, but also others such as XEM, STEEM, Digital Note, Dogecoin and many others. Verification applies in most cases if you want to buy digital currencies using fiat currencies. If you already have a digital currency in another wallet, your life will be considerably easier as you will not have to pass through a verification process. Buying and withdrawing bitcoin with HiBTC requires different degrees of verification. They are the following: General, Verified and Qualified. When you sign up, you start at the general level, and its pretty flexible if you want to deal with just cryptocurrencies. The Verified and Qualified level require sending photo IDs and proof of residency. These levels are necessary for funding and withdrawing fit currencies at HitBTC. 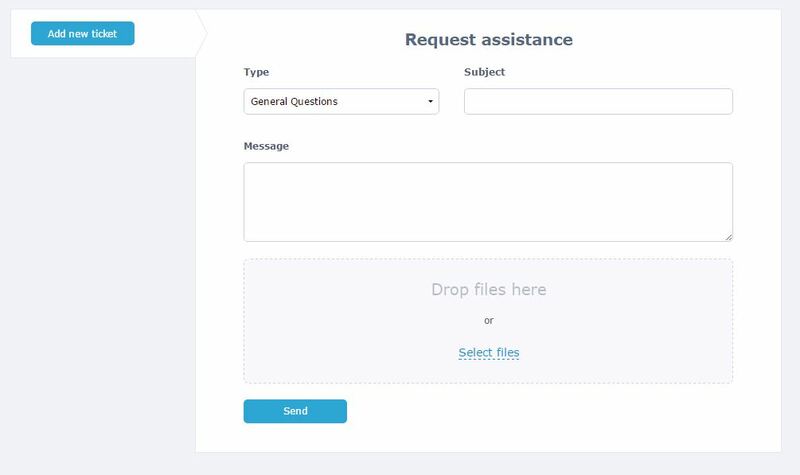 HitBTC support is only provided by a ticket system from your dashboard. Which I consider a disadvantage, especially if you are in a hurry. The company also provides email contacts for further questions. Various options of deposit and withdrawal. Good variety of digital coins to exchange and trade. Reliable servers and friendly UI. Long waiting for depositing and withdrawing funds via bank transfer. 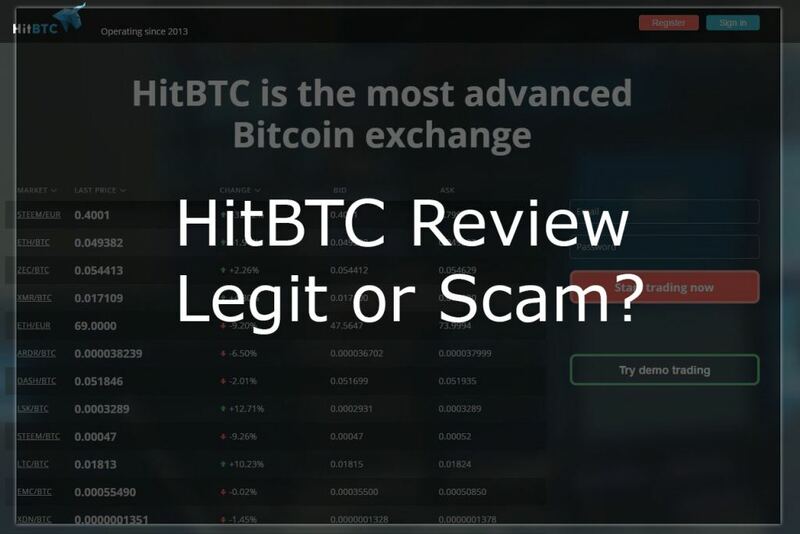 HitBTC Verdict – Legit or Scam? HitBTC is a registered company, and one of the most popular digital currency exchanges currently on the market. It also offers one of the widest varieties of digital coins, which can be generate profits eventually. However, there are two things you should consider before reading this HitBTC review and choosing an exchange(if you are usually fiat currencies). Since they only accept bank transfers, it can be quite a lengthy process to fund and withdraw you account, apart from the verification process. If you already have more mainstream currencies like Bitcoin or Ethereum, it can be a great idea to use HitBTC to invest in other Alt coins. If you considering trading bitcoins but would like to check other alternatives, this list below is just what you need. CEX.IO is one of my favorite digital currencies exchange. You can pay by debit, credit card, and also bank transfer. The fees are pretty reasonable. However, the numer of digital currencies they offer is quite limited. Bitpanda is a great European exchange accepting Bitcoin, Ethereum, Litecoin and Dash. 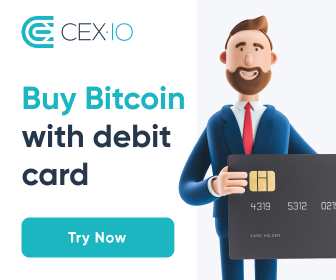 You can buy bitcoin using credit card, bank transfer, Skrill and using other crypto currencies. Coinbase is the largest bitcoin exchange in the world. It has a simple system to buy and sell bitcoins and you can also use a credit card, which is not possible at HitBTC. The disadvantage of Coinbase is that it is available for much less countries than HitBTC. Did you like this HitBTC review? Have you used HitBTC before? Leave a comment below telling your experience. Description: This HitBTC review below explains the mains aspects of this digital currency exchange. It covers how to buy bitcoin and other cryptocurrencies, what currencies are availabl at HitBTC, its verfication process and much more. I tried to withdraw my Monero, over 10,000 worth, and the Monero were never sent to the specified wallet. I tried repeatedly to get in touch with support but no one replied. So I’m out of over 10,000 dollars now. Do not use this exchange, ever. I am also experiencing delay while transferring Monero from different wallets (not on HitBTC, but in general). What I usually do to avoid this is, exchange Monero to Litecoin and then send to a specific wallet, in my opinion Litecoin transactions go much faster than Monero or BTC.